This was trimmed down from Fox Movietone News out takes of an evening at a Paris nightclub in 1929. The sound was pretty bad so I superimposed a French band number. This was done in support of a "Fox Trot in the 1920s" workshop I gave in DC in May 2016. A few years back, someone posted a video on Facebook of folks dancing at the Queen Mary Art Deco Festival, and among the dancers were two women dancing together. One of the commenters, with the best of intentions, posted something about the women "embracing their sexuality". The commenter was answered by someone who had attended my lecture where I had pointed out that women dancing with women was very common in the Jazz Age, and that one shouldn't infer too much from that. The second commenter was particularly correct in that the two women in question were mother and daughter, and there was no sexuality-embracing going on there at all. This does however, highlight how our views and assumptions have changed. We live today in a world that jumps to a sexually based inference as something of a default. 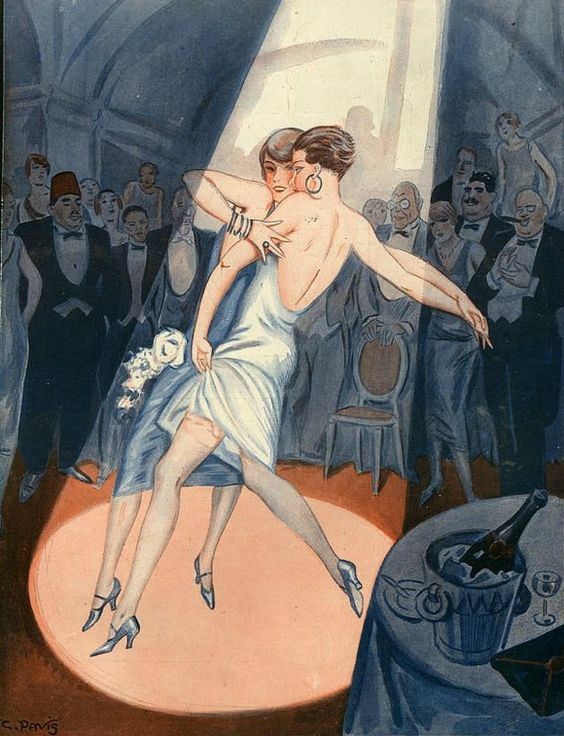 While the people of the Jazz Age were far from innocent, there was a certain innocence in their tendency to not assume a sexual element when people danced with each other. This applies equally to opposite and same gender dancing. The dance holds of the Jazz Age were very close. They were body-to-body, and the open frame stance of today was completely out of fashion. In this hold, which we today generally see only in "Blues" dancing, Argentine Tango and High School slow dances, men and women routinely danced with multiple partners: spouses, lovers, friends and strangers - and seemed to take in stride a level of physical intimacy that many people today find a bit uncomfortable. Further, the social mores of the time held that it was tedious and unsociable for couples to dance exclusively with one another, so it was generally accepted that this intimate hold would be practiced rather promiscuously within one's social circle. Some practical advice on how to behave in the Jazz Age/Roaring Twenties. In society, husbands and wives consider a ball or dance, or, indeed, any form of entertainment, the occasion for seeing their old friends and acquaintances and making new ones, not for staying together. At dinners they are separated as far as possible, to give them both a chance to express themselves as individuals, not as halves of a never-to-be-divided whole. At dances, though a couple who happen to like dancing together may, and do often, take a turn, the etiquette of the evening is that they should both have too many partners to be able to see much of each other. If they are seen constantly together, the idea conveyed to onlookers is that they don't know many people and are not having a much gayer time than they would have together at home. This may be far from the case, but the impression is conveyed all the same. Married men and women go out to see people, not to be with each other. Of course, this supposes that the places they go to are places where they are surrounded by friends and acquaintances. That is what society is--the meeting of amusing people in amusing places. But if a man and his wife found themselves at a dance where they knew few, if any, people, they would most naturally take advantage of a good floor and good music to dance together. This would be sensible and enjoyable, but etiquette would not be involved. A man should dance with his hostess at any ball, once or twice during the evening, but he need not (and often could not), make his first dance the one with her. He might dance first with his wife. If some one else did not ask her at once, but it would not be obligatory. "Cocktail Dancing": What's in a Name? 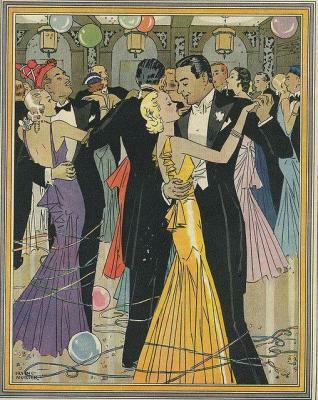 As anyone who has seen my social media posts for the last couple of years will know, I have been focused on recreating the social dances of the 1920s, 30s and ‘40s – not the youth dances like Charleston and Swing (they don’t need my help) but the, at the time, far more widely danced Foxtrots, Waltzes and Tangos. I have come to the conclusion that this style of dance I have been advocating is really its own style, distinct from modern ballroom, swing dance etc. It really needs its own name. These dances, in their original forms, were far less structured, far less strictly defined, far more intimate and far easier than their current “Dancing With the Stars” or "International Ballroom" forms. It is a style of dance that I think has a lot to offer our modern world, and I would love to see it revived and spread beyond a narrow, historical dress-up sort of audience. At the time, these dances were called “The Modern Dances”, but “Modern Dance” is a term that has become inextricably associated in our own time with styles of artistic performance dance – successors to ballet, so “Modern Dance” is pretty much taken, and another name is required to describe this unique style. Besides, “modern” is an adjective that has something of a set “sell by” date, and becomes just a bit ironic when applied to a dance style that’s about a century old. I have been referring to them as “Jazz Age Social Dances”, which sets them in their proper historical context, but also locks them into the past. It defines them as a museum artifact. It’s as if you called Swing Dancing “Great Depression Dancing” or “World War Two Dancing”. I suspect a hard-wired link to the past could be impediment to a broader acceptance of this sort of dancing. So, what can we call this style, with its focus on social connection, simple enjoyment and sophistication, that conveys its unique spirit and essence? 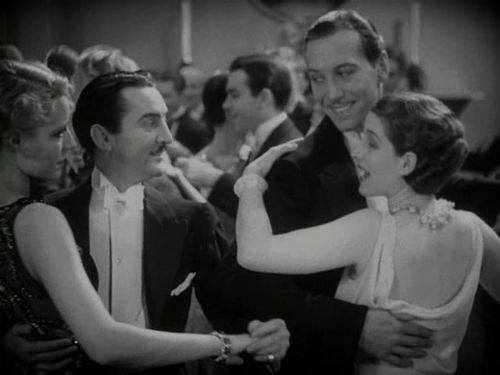 This scene, in which dancing figures prominently in the background, gives a sense of the sorts of dancing a movie audience would expect to see in a sleazy dive in New York in 1928. It's from "The Docks of New York"
The dance scenes from the 1921 French film Fievre, showing low-down Jazz Age dancing in a low down venue full of drunk, unhappy people. I pasted "The Montmartre Rag" and "Around the Bois de Boulogne" onto the silent footage.